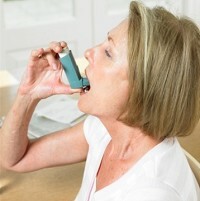 Researchers in Sweden have highlighted a link between asthma and insomnia. A team from Uppsala University said those who suffer asthma face an increased risk of the sleep disorder. Their findings, published in the journal Allergy, will be of interest to asthma sufferers planning a Christmas holiday. However, they should find the time to arrange asthma travel insurance before jetting off. More than 25,000 adults were asked about asthma, insomnia and height and weight, with the findings supporting earlier studies showing a link between asthma and insomnia. Some 47% of asthmatics polled suffered with insomnia, compared to around a third of people without asthma. The researchers found those who suffered both asthma and nasal congestion faced an even greater risk of the sleep disorder, with 55% suffering insomnia. The scientists wrote: "Sleep disturbances still remain a common problem among asthmatics in the 21st century. This must not be overlooked by physicians treating asthma patients, because sleep disturbances can be alleviated by improving asthma control and by treating concomitant nasal congestion."